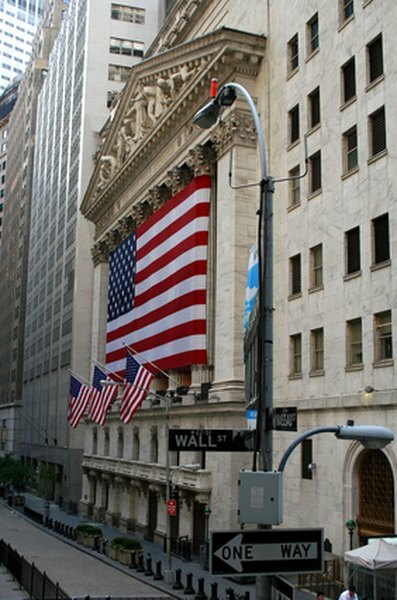 Common stocks are traded on major stock exchanges. 2. What Does MLP Stand for in Stock Market? 3. What Is an Initial Public Offering (IPO)? Common stock shareholders are the most prevalent type of equity investors. They include both large and small investors. In exchange for purchasing shares, common stock investors become partial owners of a business. They can vote on important company happenings, attend yearly meetings with executives and influence the direction of that business. Common stock investors can share in a company's profits, but they're also vulnerable to possible losses. Dividends are quarterly or yearly income payments that corporations make from ample profits. They are made on a discretionary basis to common stock shareholders. Nonetheless, some companies continue to pay these distributions without interruption even when times are tough, so as not to alarm investors, according to U.S. News & World Report. Companies distribute dividends to common stock investors, either in cash of by granting them additional shares of stock, based on the number of shares owned. Large investors can include anyone from professional asset managers to pension funds. Retail investors are individuals, who generally purchase fewer shares than institutions do. Employees of a corporation can be individual shareholders of a corporation, through a retirement plan or some other company benefit such as stock options. Investors can own shares of a company's common stock by purchasing individual shares with a stockbroker or by gaining exposure through professionally managed portfolios, such as mutual funds or exchange-traded funds, or ETFs. By investing in a mutual fund, investors are able to buy the common shares of a number of companies for less money than it would require to purchase individual shares. An ETF similarly offers investors access to the common shares of various companies. Like stocks, ETFs trade under specific trading symbols, so investors can buy and sell positions rather easily. The stock market can be unpredictable, and common stock shareholders become subject to the whims of the markets. Stocks often rise and fall in value based on developments not only within a company but also in an industry or even the larger economy. As a result, common stock investors take a risk by purchasing shares of a company. It is possible that an investor will wind up selling shares for less than she paid, taking a financial loss. What Are Spiders in the Stock Market? Who Are the Major Investors in the Stock Market?